Madagascar is the fourth largest island on earth with a special history. Around 70 million years ago, the island had separated ultimately from the African continent. Since then, it has had its own evolution with a flora and fauna that can only be found here and nowhere else in the world. Especially this unique nature is now particularly endangered by man. The island, which had formerly been completely covered by wood, was colonised by man only 1000 years ago. Most of them came from close-by Africa, others came with boats along the coasts from the indomalayan archipelago. Over the centuries, the immigrants developed towards one people consisting of nineteen ethnics with a common language. By now, around half the people have converted to Christianity, the others worship various natural religions, but the living of the Christian population is still strongly influenced by their aboriginal belief. Thus, special ancester worship and many taboos (Fadys), influenced by weather, various days or daytimes, certain plants and animals impose obligations on people which strongly affect modern development in the western sense. Also for this reason, Madagascar belongs to the 10 poorest countries in the world. The village of Andasibe and some fragments of rain forest are situated only around 100 miles to the east of the capital Antananarivo. Since 1989, Helmut Zimmermann, and later the NAT foundation, got involved there with habitat investigation for species and nature conservation. By then, the local population had predominantly lived on utilisation of the wood, especially on slash-and-burn nomadic cropping. In their opinion, their ancestors had left behind the wood for their utilisation. For two or three years, the ashes of the burned wood and the very thin humus layer allow a secure yet moderate harvest, however with the effect of eroded soil. Then, the next area of wood is slashed and burned, and so on. With the new government, further damage to the remaining rain forest became prohibited, which even increased poverty. We immediately became aware of the fact that behaviour modification of the population and the protection of their nature can only be achieved by confidence building and comprehension of our projects. This was realised for example in1991, when we assisted with planning a drinking water supply, with the realisation of sports activities for the youth (the two "football clubs" of the village lacked a football since two years), but to much greater extent in 1994, when the village was flooded by a huge cyclone which took a heavy toll on human life, pets, homes, and cultivable land. Our spontaneous collection in Germany brought first aid to the poor population of the village. But in our village meeting, plans and photos also confronted them with the fact that eventually they themselves had caused the eroded hillsides and the floods by their slash-and-burn behaviour. With the above mentioned and further confidence-building measures, and after years of collaboration with the Madagascans, we succeeded in persuading them of the value of their rare fauna and its protection (e.g. to set the Madagascan Golden Frog, which only lives here, on CITES), but also of the conservation of the rain forest marsh area, the habitat of the frog, which is now the "flagship species" of further 688 species in this area. After our extensive preparatory work and petitions, the area of 20.750 acres in size was added to the RAMSAR list of the UNESCO as an important wetland world wide on February 2nd, 2005 (similar significance as an eco-label like "world nature heritage"). Development of an eco-tourism which pays for itself in the forseeable future and which assures a lasting income for the population. 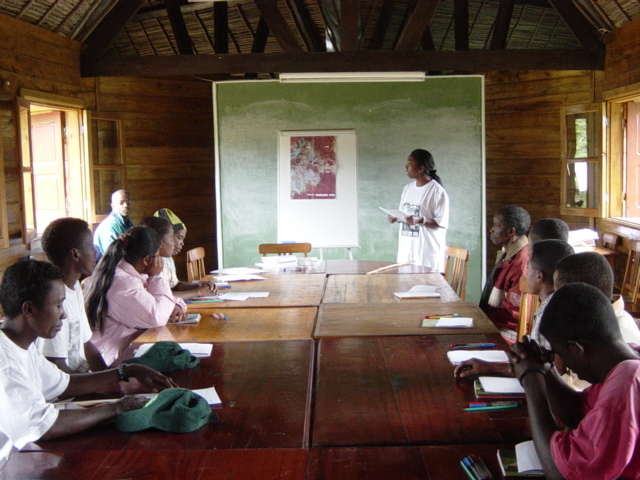 Education and employment of qualified tourist guides and rangers. Building of trails and nature trails with refuges. Environment education and general instruction for basic training. Building of a field station, where the rangers and the biologists can be accomodated and where education can take place (at the beginning of the financing by the Landesstiftung Baden-Württemberg it had already been established). By realisation of these goals we hoped to help the poor people to help themselves and thus give them new livelihood and opportunities to earn money, as well as save the unique nature. Additionally we hoped to at least partly repair the missing link of the eastern rain forests by reafforestation of basic parts of the degraded wood area. First, the Maromiza wood area of 4.000 acres in size was measured by Madagascan geometricians and marked with cairns and small signs to show that illegal utilisation of the woods or hunt is no longer allowed here. A field station was not built by ourselves due to the undetermined ownership structure. Instead, a near-by cabin with electrical power and water supply was rent. In this cabin we installed the NAT office and the accomodation for the head of the station, she is a Madagascan biologist. A comfortable room with tables, blackboards, and the like served as a classroom and an assembly room. But due to a political crisis, the works had to be suspended as an entry to Madagascar was no longer possible in 2002. In the meantime, the NAT foundation sensitised the German public to the problems of Madagascar with lectures and exhibitions. For example, an exhibition on Madagascar was arranged at the botanical and zoological garden Wilhelma in Stuttgart, which lasted three months and attracted hundreds of visitors. But also high representatives of the newly and democratically elected Madagascan government as well as representatives of the federal state of Baden-Württemberg and the German federal government attended the exhibition and pleaded for the realisation of the goals of the NAT foundation (see exhibition catalogue). Our work in Madagascar could be restarted in 2003. We started talks (meetings) with the people, the representatives of the local authorities, the administration of the district town Moramanga and the ministries and their responsible departments in the capital Antananarivo. Soon we could establish a perfect collaboration with the new government. The minister for the environment enacted a strict ban on slash-and-burn as well as deforestation. The park guards and the project manager started their work, and a NAT office was established in the capital. The scientific examinations for the inventory of the flora and fauna were continued and reinforced, also in order to demonstrate the high value of this area to the Madagascan authorities, the population and the eco-tourists. 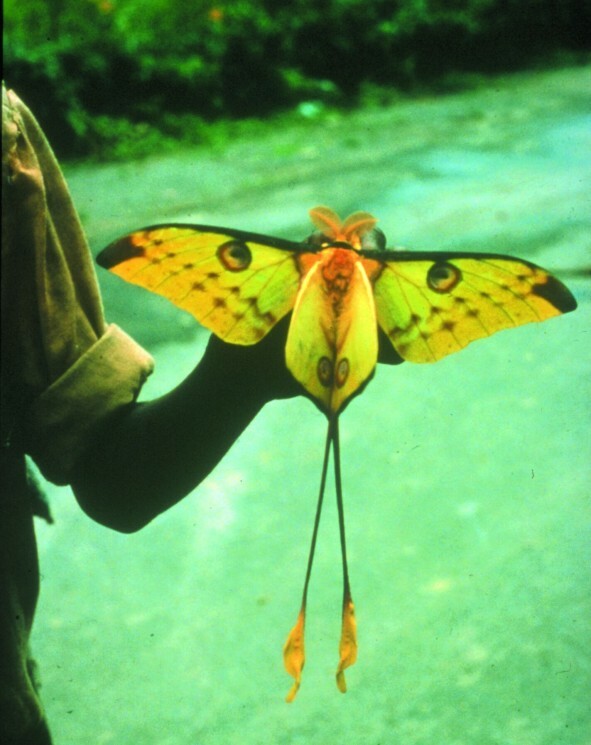 The project attracted special attention in public (press and television) on March 27th, 2004, when the president of Madagascar accompanied by ministers and their attendants (12 people) landed in the Maromiza wood with two helicopters and made a short visit to the preliminary trails. Also the conferring of the national order of the Republic of Madagascar to Helmut Zimmermann by the Madagascan president of the senate on May 24th, 2004 contributed to the NAT foundation's reputation. Programmes on German television (ZDF, ARTE, and 3SAT) showed the work of the foundation in German- and French-speaking countries. The low-budget sourcing of the work was still supported by private donators, by members of the NAT fundraising group, by the BIOPAT association (Patenschaften für biologische Vielfalt), by the Bundesverband für fachgerechten Natur- und Artenschutz e.V. and the German embassy. But when no more funding for Madagascar was available to the main sponsor BIOPAT, the completion of the overall project was at risk. According to the contract between the NAT foundation and the Madagascan ministry of the environment, the project work had to be completed by 2007. The completion could only be secured with an amount of over 50.000.- � which consisted of the approval of a higher amount of the Landesstiftung Baden-Württemberg and the inclusion of further sponsors into the project financing like the Erwin-Warth Foundation for flora, fauna, environment, Conservation International with Tany Mewa, interest groups Phelsuma, PrimaKlima weltweit e.V., Zoo Kölle Herr Landes, the Förderkreis NAT and private donators. 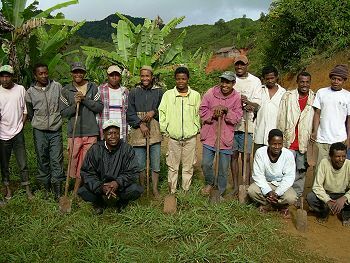 The established long-term team of the NAT foundation consisted of the biologist Dr. Blanchard Randrianambinina, representative of the NAT in Madagascar, the certified biologist Harisoa Vololonarivo, the gardener Mila Trasa, the rangers and guards Pafo Volontiana and Hermano Raveloarison. 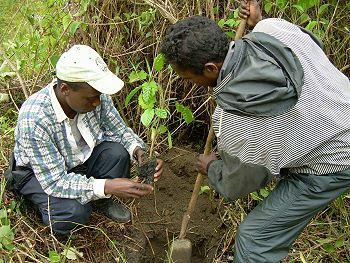 Madagascan specialists of ANGAP contributed to the education for establishing tree nurseries and reafforestation, and due to the instructed reafforestation works, around 60 families of the village could earn their living. Thus we were able to successfully achieve three targets from 2005 to 2007: Registration of the biodiversity and eco-tourism, environmental education, as well as reafforestation with autochthonal plants. Additionally, we could sensitise the population for our work and give them a secure income. "You can only conserve what you know". This was the proposition to sensitise not only the NAT scientists but also external researchers to make an investigation in the Maromiza wood. It took place in a national and an international context by individually researching scientists, by groups of scientists (e.g. ornithologists, mammologists, and entomologists of the National Museum for Natural History Stuttgart, primatologists of the University of Veterinary Medicine Hannover, and the GERP primatologists from Antananarivo) or departments of the Antananarivo University (with over 40 botanists). The following table gives a survey of the biodiversity of the Maromiza wood, whereas the results of the botanists had not been available when the table was set up. The table does not yet contain the examination results of the 40 botanists from the University of Antananarivo. Also in 2005, we started building trails with treads (because of the mountainous area) which were made from eucalyptus wood, small wooden bridges over the numerous creeks, enclosures and balustrades at steep viewpoints, two elementary small camping grounds with cabins and campfire sites, cabins for the guards at the entrance and the like. The nature trails pass by a dense population of various orchids. Various animals can be watched at dedicated places: The diurnal and nocturnal lemurs, like the biggest Madagascan lemur, the indri, the most beautiful lemur, the diademed sifaka, the rarest like the aye-aye or the hairy-eared dwarf lemur or the smallest primate of the world, the mouse lemur. Along the creeks, streams and waterfalls, a huge number of different species of frogs can be found. Many of them are still unknown (like the reptiles) and not yet scientifically specified (in the Andasibe area there are more than one hundred different species of frogs). At the stone pit and in the tree tops you can find a lot of wonderful, coloured birds. Beside the creeks and little lakes, there are conglomerations of huge old dragon trees, and from the heights like the Pico de Maromiza (753 miles in height; Maromiza=Maromizaha means "see a lot") you have a wide view over the original mountainous rain forests but also over many destroyed areas. Unfortunately, the spirit of the president and his young staff (many of them had been educated in Germany) has not yet achieved acceptance in many authorities with regard to transparency and efficiency of their work and presentation. This is often to the disadvantage of their own people. In our request for extension for the LSBW dated February 9th, 2007, we constituted that our works on eco-tourism had virtually been completed. But the responsible officers of the authority waters and woods took a lot of time with their final acceptance. The amount of money which they demanded for the acceptance seemed exorbitantly high to us, so we refused. Due to our administrative appeal at the head office of the administration, the amount was halved, but again we had to wait a long time for the final acceptance. Because of the challenging climatic circumstances in the rain forest, especially during the rains, a renewal of the trails, treads, and shelters had since become necessary. Therefore, the people of Andasibe-Anevoka can only profit from the revenue of entrance fees, product selling and the like after a long delay. The posters and leaflets financed by the LSBW mainly contributed to the environmental education by the NAT team, but also the acquired library with many reference books, instruments and equipment. The posters and leaflets were also spread, exposed, and discussed at the schools of Andasibe and its communities, as particularly the youth showed special interest in their nature. At presentations in Moramanga, the provincial capital, and in the capital Antananarivo, the NAT foundation showed posters and large size photos and also spread the leaflets at a stand. The visitors became informed on the biodiversity of the Maromiza wood, and its protection was promoted in lively discussions. Two further presentations on the same range of topics had been arranged in the community of Andasibe together with the mayor. They were even more important insofar as the people of the village were confronted with the sense of the conservation of their flora and fauna. The conservation of the natural resource "rain forest" and its utilisation by the eco-tourism (and thus their income) produced special interest during these detailed talks, but also the make-work projects for reafforestation, education by specialists in collecting seeds and seedlings, establishing tree nurseries and growings as well as the planting of the young trees for reafforestation. The education as a walking guide over many months by our head of the station Harisoa in our grand-scaled classroom as well as in nature was willingly accepted. The recovery of the natural rain forest is of utmost importance for the conservation of the biodiversity and in this case even for the linking of two ecosystems in the eastern rain forest of Madagascar. Also in this matter, there has been a successful collaboration between the NAT foundation, lead-managed by the Madagascan forest directorate, the Madagascan administation for nature conservation ANGAP as their professional partner, and - besides the WWF - the greatest organisation for nature conservation, the Conservation International (CI). First, a dedicated group of workers of the village was educated in the multifaceted flora and its seedlings and seeds of the still existing rain forest. Then, a large-scale collection of the seedlings and seeds and their packing into little plastic bags with some humus soil was carried through. In the meantime, other workers established professional tree nurseries where the close-packed seedlings and seeds continued growing, protected with straw mats against the tropical sun. When they had reached the required size, depending on the tree species, they were placed into a prepared free area following a special system for reafforestation of autochthonal plants. This was often a little celebration for the poor people of the village. Despite rain (what is common in the rain forest), up to 60 families surged to the large planting area. In the beginning, a song was sung, and the priest of the community spoke some encouraging words, prayed and blessed the undertaking. The presents of the NAT foundation like bags of maize, corn and beans as well as a football for the people were not to be forgotten, and then the plants and shovels were taken to the plant holes which had been prepared with a thin layer of humus soil (of course, at the end of the day, the people received their well-deserved wages). Accurately, the plants were inserted deep enough, so that the next cyclone would not wash them away immediately. By this means, over the planting years from 2005 to 2007, 100,000 young rain forest trees were planted and cultivated on an area of around 250 acres. Yet not only eucalyptus and pine species were used, as it is common for reafforestation measures, but a large variety (first 29, later up to 57) of the different tree species of the adjacent original rain forest. The result of the works of the NAT foundation, which is a relatively small non-governmental organisation (NGO), might probably have produced interest in an international public. We were pleased that we could make allowance for the desire of the Nobel Peace Prize Laureate AL GORE in his well-known book "An Unconvenient Truth" (page 305 in the German release of 2006) insofar as our foundation was the only one which was mentioned on the referred web site www.prima-klima-weltweit.de with our method of resolution "Reafforestation of the dragon tree rain forest Maromiza using autochthonal plants". 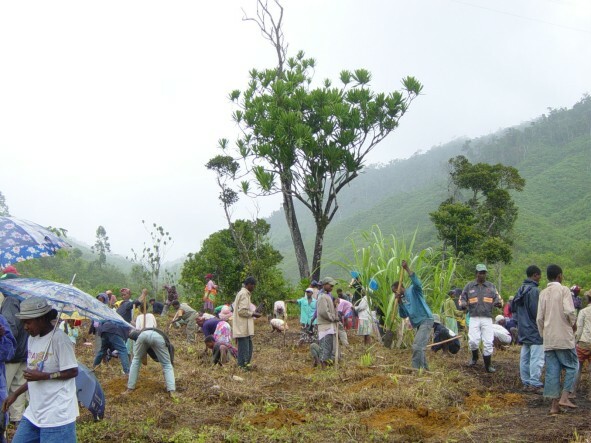 Altogether, the six years of activity of the NAT foundation for the provision of work for the poor people by the managament of conservation and cultivation of the dragon tree rain forest Maromiza have been extraordinarily fruitful. The final deforestation of this core and link of the eastern Madagascan rain forest could be prevented by the activities of the NAT foundation just in time. Its six national parks were declared a "world nature heritage" by the UNESCO on July 27th, 2007. The complete Maromiza area of 4,000 acres in size is being declared a nature reserve due to an application of the NAT foundation and the information of the ministry, and shall be included into the world heritage. 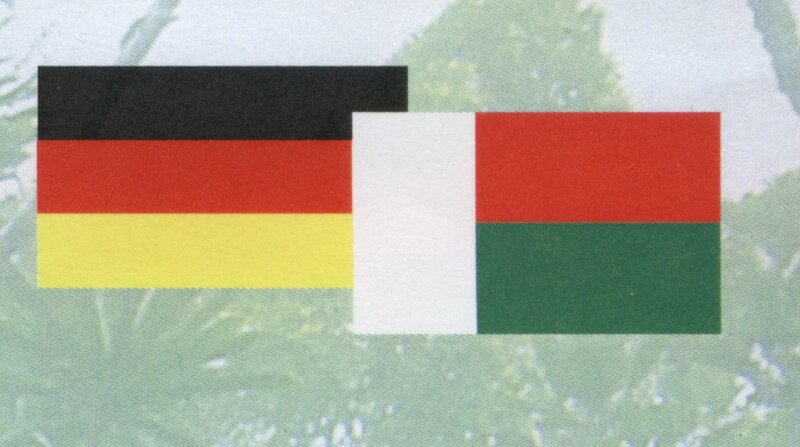 Furthermore, the project has been included into the Madagascan CO2 sequestration activities. According to calculations of experts, the reafforestation of the present 250 acres achieves a CO2 sequestration of 1,000 tons per year, that is a CO2 sequestration of 40,000 tons within the scheduled growing time of 40 years. A demonstration area of 10 acres has been established as a buffer area, for education and utilisation by the people. Here, fruit trees, vegetables, maize, pineapples and other agricultural crop can be cultivated; the first crop yields have already been achieved. The investigations on endemism and the probably highest biodiversity of Madagascar on a very small area allowed to show the public and the eco-tourists the high value of the Maromiza wood and its fauna. The installations for a cautious yet still attractive eco-tourism allowed to establish a lasting income for the local population. As the cooperation contracts have now expired, the work of the NAT foundation has terminated. The "help for the people to help themselves" has been provided. 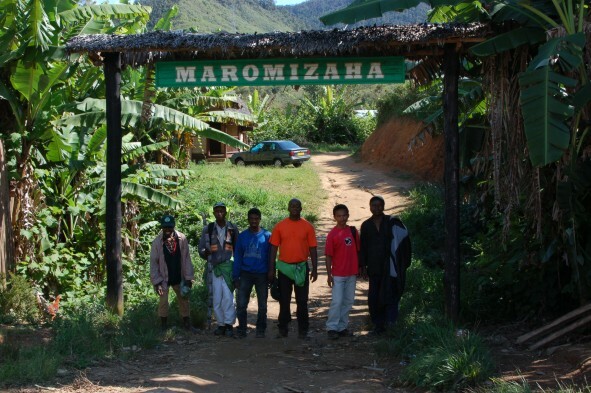 Now the further management for Maromiza will be taken over by the Maromanga forest directorate with the group for primate research and nature conservation (Groupe d� Etude et de Recherche sur les Primates de Madagascar, GERP), whereat the Kreditanstalt für Wiederaufbau is willing to make a financial contribution after the final declaration of Maromiza as a nature reserve and the assignment to ANGAP. Also the further reafforestation works will be carried out by the people of Maromiza-Anevoka, now by GERP instead of the NAT foundation. Besides the above mentioned sponsors, it was mainly due to the financial support of the Landesstiftung Baden-Württemberg, that this large project could be successfully realised and finalised, especially for a relatively small non-governmental organisation (NGO) like the NAT foundation. 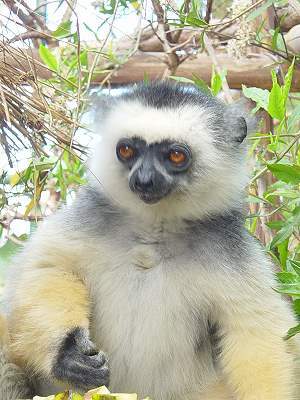 The Karlsruhe Zoo also takes part in the pan-European „Madagascar Conservation Campagne“ of the EAZA (European Association of Zoos and Aquaria) from April to December 2007. The opening ceremony with the 1st mayor of the city took place in the hall of the monkey house on March 30th, 2007. For the inaugural address, the Zoo had invited the Foundation for Tropical Nature and Species Conservation (NAT) as a professional partner. The president of the NAT foundation, Helmut Zimmermann, first thanked for the invitation by the director of the zoo, Dr. von Hegel, and her active assistants Dr. Clemens Becker and Dr. Ulrike Stephan. He gave an account of his experience in the moore area Torotorofotsy in Madagascar, which had been integrated into the RAMSAR list of the world's most important wetlands (similar significance as an eco-label like "world nature heritage") by the UNESCO due to his works and his initiative. He also mentioned the difficult works in the Maromiza rain forest, where he and scientific assistants could prove the highest biodiversity of Madagascar, the development of a subarea for a „cautious tourism“, as well as the reafforestation of burnt down woods using about 100,000 young rain forest trees which had been grown in NAT tree nurseries. He thanked all sponsors for their financial support, ranging from the Landestiftung BW, the Conservation International/Tany Mewa, PrimaKlima over pet shops like Kölle Zoo to working groups like the interest group Phelsuma and private initiatives. The vice president of the NAT foundation, Dr. Peter Wüst, illustrated the organisation and the goals of the foundation (which celebrates its tenth anniversary in this year), which are the conservation of the biodiversity and the protection of the rain forests, especially of the Maromiza dragon tree rain forest in Madagascar, and its reservation and partial reafforestation, which is also a small contribution to the reduction of the global CO2 emissions. Thereby he pointed out that the work of the NAT had gained ultimate recognition with the conferring of the national order of the Republic of Madagascar to Helmut Zimmermann by the Madagascan President Marc Ravolamanana. While the male chimpanzee was resolutely knocking against the windows of his cage on one side of the hall, thus protesting against the numerous participants of the Madagascar event, a big family of ring-tailed lemurs accompanied the visitors on the other side with reliance and curious friendliness. The species-rich Maromiza dragon tree rain forest near Andasibe had partly been destroyed by deforestation as well as slashing and burning. In the last two years, the German Foundation for Tropical Nature and Species Conservation (NAT) has already reafforested with over 39,000 young rain forest trees of about 30 different autochthonal species with the financial support of the Landesstiftung Baden-Württemberg, PrimaKlima weltweit and other sponsors. 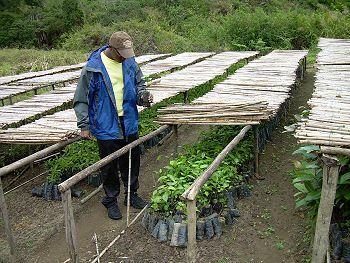 Now, over 60,000 seedlings in the NAT owned tree nurseries are ready for planting (financed by Tany Meva, Madagascar). Thus, 100,000 small trees – no pines or eucalyptus but home-grown tree species – will be newly planted soon. 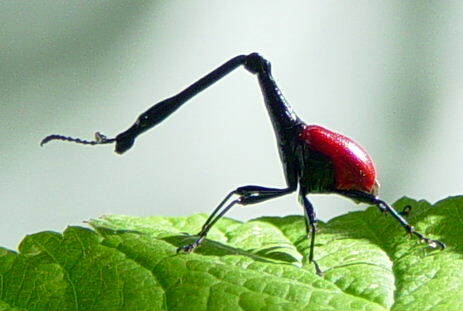 According to the present scientific survey, this rain forest probably accomodates the highest density of species in Madagascar on an area of only 4,000 acres, amongst others also the famous, bizarre giraffe necked weevil Trachelophorus giraffa (which had inadvertently been named bizarre guitar necked weevil on December 6, 2005 on our nature reserve page). The males have a very long neck, nearly as long as the whole body. It can often be found in the Maromiza wood, yet it is difficult to discover due to the size of its neck of only 0.5 inches and its body of only 0.55 inches. Furthermore, it flies away quickly at appropriate air temperature when it is touched. 2006: Further afforestation of 34,000 seedlings of 36 different autochthonal tree species. 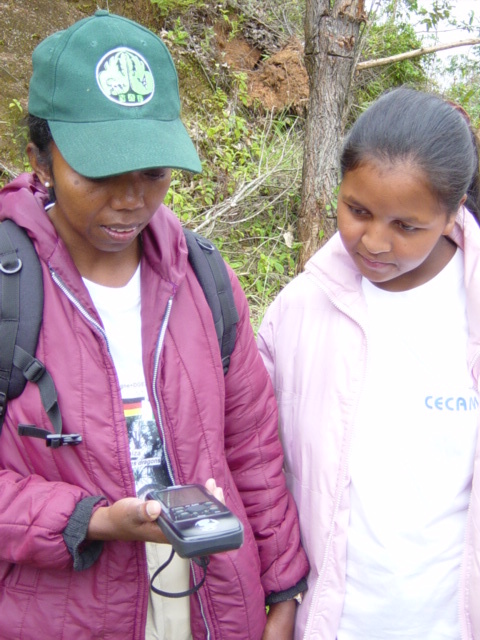 60 villagers and Madagascan tree specialists became employed. Two new tree nurseries were established and seeds and seedlings were cultivated for further planting. 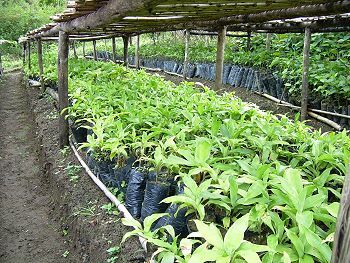 As seedlings could not be bought, NAT themselves and some tree specialists have collected seeds and seedlings of 36 different tree species from the adjacent rain forest area and grown in the ad hoc established tree nurseries until they were ready for planting. From these tree nurseries, 36,000 young trees were placed into a prepared free area in July and August. The biologist Dr. Blanchard Randrianambibina checking the seedlings for their survivability before bedding out. All in all, 60 poor villagers had been employed for the reafforestation in July and August 2006. The earnings which they received for their work improved their standard of living, but they were also sensitised for the value of their work and for the conservation of the rain forest. These works only became possible due to the financial support of: Landesstiftung Baden-Württemberg - Stiftung Entwicklungszusammenarbeit BW, Conservation International - Tany Meva, Kölle Zoo, interest group Phelsuma, PrimaKlima weltweit - Märkisches Landbrot, Förderkreis NAT. Thus, the NAT foundation not only contributes to the protection and conservation of the Maromiza rain forest area with its unique biodiversity in Madagascar, but also to the overall „Projet conservation de carbon – Restauration du Corridor Vohidrazana-Maromiza-Mantadia“. The young dragon tree of the year 2005 is already about 19 inches high. 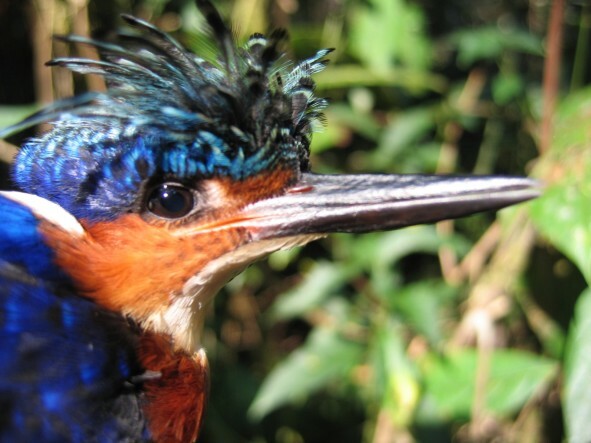 At the end of the year 2005, a German group of scientists with Madagascan assistants left for the Maromiza dragon tree rain forest near Andasibe for the third time to investigate its bird life and mammal fauna. The group worked under the direction of Dr. Friederike Woog (birds) and Kathrin Marquart (small mammals) of the Staatliches Museum für Naturkunde Stuttgart (SMNS). Especially in the almost intact old-growth forest of the area, exciting results and new species may be expected again. So far, the researchers from Stuttgart classified 77 species of bird, 21 species of mammal (lemurs excluded), 811 species of moth (including the comet moth, which is the biggest with up to 11 inches in size), and 1001 different beetles of 10 species (including the bizarre giraffe necked weevil). 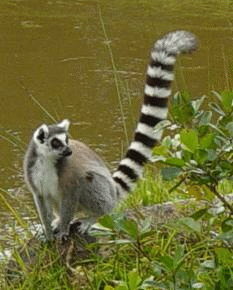 Already before, assistants of the Groupe d'Etude et de Recherche sur les Primates de Madagascar (GERP) working under the direction of Prof. Dr. Berthe Rakotosamimanana had also discovered new species among the lemurs of the Maromiza wood, thus the number of lemur species has by now increased to 16, which is the highest biodiversity of lemurs in a nature reserve in Madagascar. Much to the regret of all primatologists and nature lovers, Prof. Dr. Berthe Rakotosamimanana has died unexpectedly in November 2005. 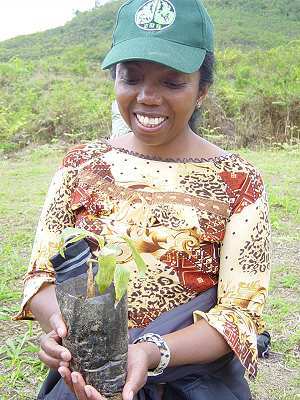 The Foundation for Tropical Nature and Species Conservation (NAT), which is the only German organisation for nature conservation in Madagascar, realises the first campaign for reafforestation of the partly degraded Maromiza wood of the NAT near Anevoka-Andasibe on April 9, 2005. Instead of eucalyptus and pines, only home-grown autochthonal tree species of the Maromiza rain forest were used for planting, which had been grown from seeds and seedlings in the NAT tree nurseries. Thus, the NAT foundation contributes to the reafforestation of destroyed and eroded rain forest areas and also to the conservation and protection of the biodiversity of this unique dragon tree rain forest. Until now, 16 species of lemur, over 66 species of amphibian, more than 63 species of orchids and many other rare animal and plant species have been discovered on this area of 4,000 acres in size. On February 2, 2005, the „WORLD WETLANDS DAY“, the moore area TOROTOROFOTSY near Andasibe/East Madagascar had been integrated into the RAMSAR list of the world's most important wetlands as the fourth wetland of Madagascar. The only German organisation for nature conservation which works in Madagascar, the „Foundation for Tropical Nature and Species Conservation (NAT)“, has assessed an uncommonly high biodiversity in this area after years of investigation: Nearly 200 (thereof around 90% endemic) vertebrate species like lemurs and other mammals, birds, reptiles and amphibians – including the famous Madagascan Golden Frog Mantella aurantiaca, which only lives here and nowhere else in the world –, and furthermore 63 species of orchids and many other rare plant species. Therefore, on Feburary 22, 2001, the NAT foundation had successfully submit an application at the Madagascan government (Comité National RAMSAR, DGEF) to integrate the rain forest moore area Torotorofotsy into the RAMSAR list of the world's most important wetlands by the RAMSAR commission in Gland (similar significance as an eco-label like „world nature heritage“ of the UNESCO). Contribution of the NAT foundation to the "German-Madagascan Culture Weeks 2004" in Antananarivo from October 4 to 16, 2004. 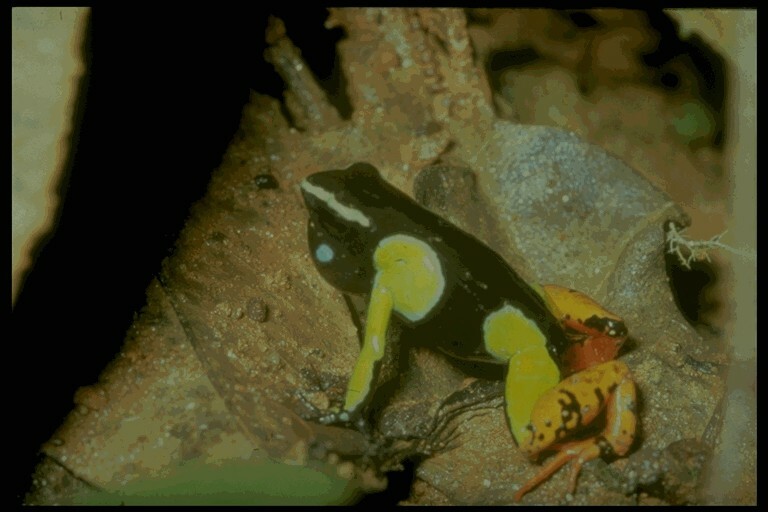 Protection of the local endemic golden frog Mantella aurantiaca by CITES (with support of the Bundesamt für Naturschutz and the Deutsche Gesellschaft für Herpetologie und Terrarienkunde DGHT). 1994. Emergency relief for the inhabitants of Andasibe after the flood desaster (with support of the DGHT and the Deutsch-Madagassische Gesellschaft). 1994. Investigations for the protection of the habitat of the Madagascan golden frog near Andasibe, of the "moorland rain forest area Torotorofotsy" (with support of the Bundesamt für Naturschutz, Bundesverband für fachgerechten Natur- und Artenschutz, Kölle Zoo, Deutsche Umwelthilfe and the German Embassy in Antananarivo, Madagascar). 1990-2003. Protection of the "moorland rain forest area Torotorofotsy" near Andasibe by inclusion into the RAMSAR list of the most important wetlands of the world (Label "Nature heritage of Mankind" of Madagascar applied for at the UNESCO). 1994-2004. Contribution of the NAT Foundation at the "world exposition EXPO 2000", Hannover, with wall posters and the NAT poster at the Madagascan exhibition stand (with support of herpetofauna publisher and Kölle Zoo). 2000. Special exhibition "Madagascar - Island of Tropical Treasures" at the botanical and zoological gardens Wilhelma in Stuttgart with around 600.000 visitors in 3 months (with support of the Wilhelma and the Landesbank Baden-Württemberg). 2002. Trensfer of the protection of the "Dragon Tree Rainforest Maromiza near Andasibe" to the NAT Foundation by Madagascar, centre of the NAT planned "integrated rain forest biotope system Andasibe" for linking the northern and the southern rain forests of Madagascar (with support of BIOPAT Patenschaften für biologische Vielfalt, Kölle Zoo, Interessengruppe Phelsuma, Förderkreis Madagaskar und the German Embassy in Madagascar). Started in 2001. 85 publications, expert's opinions and the like on flora, fauna and nature conservation in Madagascar. 1978-2003. Helmut Zimmermann as a protagonist in the films on nature conservation and nature tourism on ARTE television (in German and French language), on ZDF and on 3SAT in autumn 2004. 2003-2004). "Television Madagascar" 27.03.2004: Visit of the President Marc Ravalomanana and his Ministers i.a. at the NAT conservation area "dragon tree rain forest Maromiza" near Andasibe. "Die Rheinpfalz" 10.02.2004: "A home for golden frogs, lemurs and dragon trees". "ZDF" television 21.12.2003: see above, broadcast for all viewers in German-speaking countries in Europe. "ARTE" television 03.11.2003: Film on nature conservation and ecological tourism in Madagascar (protagonists Sonja Ranarivelo and Helmut Zimmermann), with focus i.a. on the "dragon tree rain forest Maromiza of the NAT foundation", broadcast for all viewers in German- and French-speaking countries in Europe. "Info-Radio Berlin + Diplomatisches Magazin" 7/2003: Talking about Madagascar - an international Matinée with the Madagascan Embassador in Germany Dr. D. Andriamandroso, (previous) German Embassador in Madagascar Dr. H.-P. Behr and NAT president Dipl.-Ing. H. Zimmermann (with many photos). "Jahresbericht (annual report) 2003, National Museum for natural history Stuttgart": Madagascar. (Seiten 14-15). "Wilhelma Information Colour Flyer" "Madagascar - Island of Tropical Treasures 19.06. - 22.09.2002"
"www.madagasikara.de/info.html" 28.07.2002 Accompanying programme at the great Wilhelma-Madagascar exhibition at the Mediothek of the state capital: "Magic Madagascar" Exhibition, "Madagascar - Lemurs, Chameleons and Baobabs" Film night, "Internet Quiz Workshop Madagascar", "Dream Island Madagascar" slide show. "www.tiako-i-madagasikara.org/campagne.htm" 23.06.2002: �Guy Rajemison en Allemagne�. Upon invitation of NAT, the mayor of Antananarivo (and later senate president of Madagascar) visited the Madagascar Exhibition in Stuttgart, the state parliament of Baden-Württemberg and its president as well as various departments of the state capital (with many photos). "Despite the slogan "Human - Nature - Engineering" and its obvious reference to human and nature, the major nature conservation organizations - except the WWF - had cancelled their participation. The "Foundation for Tropical Nature and Species Conservation (NAT)" has been supporting Madagascan nature conservation projects for years and was now requested by the ministry of the environment of Madagascar to participate at the Madagascan exhibition stand and to present their projects to the world public. The unexpected rush of 100.000 visitors, who were interested in the exhibits and projects of the foundation, went beyond all expectations. The sponsored colour brochures and leaflets of NAT and herpetofauna (s. hf 123:17-20) pointed explicitly to the most urgent nature conservation projects and their problems in Madagascar. Over 12.000 copies were spread selectively but despite reprint were out of print shortly after. According to a first summary of the foundation, there are many inquiries of organizations, institutes and private individuals who are not only interested in the projects but also offer their assistance. Thus the brochures spread should have had their positive and lasting effect.". "Bienvenue à Madagascar" 7,1/2000: With the ,,Rainforest 2000" project of the Foundation for Tropical Nature and Species Conservation (NAT) against the greenhouse effect (with colour photos). "Aquaristik Fachmagazin", AF-News 70/153/2000: The Foundation for Tropical Nature and Species Conservation (NAT) on the EXPO 2000. "Reptilia" 13/2000: The Foundation for Tropical Nature and Species Conservation (NAT) on the world exposition EXPO 2000 from June 1st to September 31st, 2000. "Elaphe" 8(2000),2: ,,NAT on the EXPO 2000". "herpetofauna" 125, April 2000: ,,Redaktion intern" and ,,EXPO 2000, world exposition in Hannover, June 1st to October 31st, 2000". Bietigheimer Zeitung, August 22nd, 2000: Exposition: The Foundation for Tropical Nature and Species Conservation presents itself in Hannover ,,With Madagascar on the EXPO 2000". "herpetofauna" 128, October 2000: ,,Redaktion intern" (About successes of the foundation on the EXPO 2000). "Bienvenue à Madagascar" 7,2/2000: The ,,Drachenbaum rainforest Maromiza near Andasibe" (with colour photos). Presentation of the work of the NAT foundation on the EXPO 2000. "EXPO 2000 Hannover", Commisariat General EXPO 2000, Section Madagascar. Large photo and poster exhibition: "Juwel Madagaskars: Region Andasibe" of the NAT foundation at the Madagascar stall, hall 12. "Bienvenue à Madagascar", No 1/2000, pg. 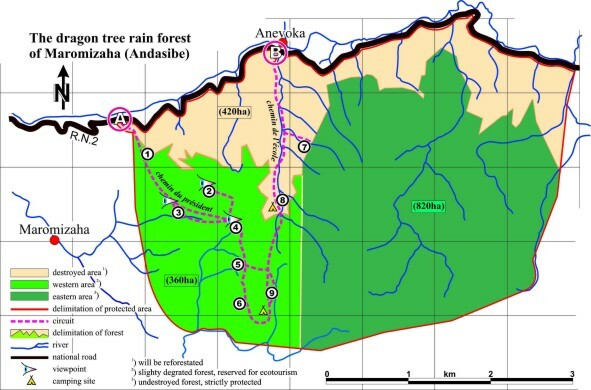 7: Information on the Foundation for Tropical Nature and Species Conservation (NAT) and the "Rain Forest 2000" project near the Mantadia National Park in Andasibe - P�rinet. "Madagaskar. Inselreiseführer" 1999/2000, pg. 566-569: Information on the NAT foundation and the work of Professor Dr. Elke Zimmermann and Dipl.-Ing. Helmut Zimmermann in Madagascar. "Biologie unserer Zeit" 1998: 28,5: 294-303. Prof. Dr. Elke Zimmermann "Waldgeister der Tropen � die nachtaktiven Lemuren Madagaskars" with reference to the nature conservation concepts of NGO "Foundation for Tropical Nature and Species Conservation". 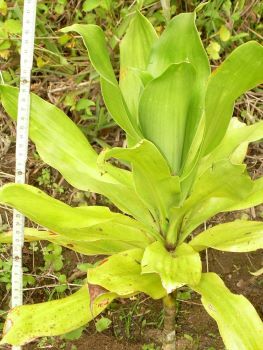 "Monographie Nationale sur la Biodiversit� de Madagascar". ANGAP, ME, MEF, PNUE, ONE. 1998. Contribution with colour photos by Zimmermann: Mantella aurantiaca, Heterixalus betsileo (Boophis viridis), Mantella cowani (M. madagascariensis), Microcebus sp. (Allocebus trichotis). "Bienvenue � Madagascar", No 1/98: "Ein Frosch, K�nig der Artensch�tzer" and "Biotopverbundsystem Andriandavibe" and "Ausgestorben geglaubte Lemurenart wiederentdeckt". Report on the work of Helmut Zimmermann in Madagaskar and on the NAT foundation. "DUH" Project Report 97/98, pg. 2-3: Report on "Das madagassische Goldfr�schchen als Zugpferd f�r den Naturschutz", and on the work of the NAT foundation in Madagaskar and Germany. BNA-aktuell 1/1997 (S.31): Professor Dr. N. Rieder "Sensation, Trauer, Hoffnung". Report on the re-discovery of the hairy-eared dwarf lemur Allocebus trichotis and on the works of Helmut Zimmermann (NAT) with Prof. Dr. Elke Zimmermann (Veterinary Academy Hannover) in Madagaskar. Public Relations Office of the Veterinary Academy Hannover of January 2nd, 1997 with reference to the "Working Group for Tropical Nature and Species Conservation", Stuttgarter Zeitung January 7th, 1997 and June 12th, 1997; Bild-Zeitung Stuttgart January 7th, 1997; Hannoversche Allgemeine Zeitung January 7th, 1997; Neue Presse Hannover January 8th, 1997; Neue Z�rcher Zeitung January 7th, 1997; �rzte Zeitung January 13th, 1997; Ein Herz f�r Tiere 7/1997 and many others more. Radio Reports on the re-discovery of the hairy-eared dwarf lemur Allocebus trichotis: Deutschlandfunk K�ln "Forschung aktuell" January 13th, 1997; Bayerischer Rundfunk "Wissenschaftsreport" January 13th, 1997; NDR January 15th, 1997. Manual for German-international relations 1997, Vol 2, see "Madagaskar, Umwelt-, Natur- und Artenschutz": Presentation of the work of the "Working Group for Tropical Nature and Species Conservation".